As quantum technology continues to come into its own, investment is happening on a global scale. Soon, we could see improvements in machine learning models, financial risk assessment, efficiency of chemical catalysts and the discovery of new medications. As numerous scientists, companies and governments rush to invest in the new era of quantum technology, a crucial piece of this wave of innovation is the quantum sensor. Improving these devices could mean more powerful computers, better detectors of disease and technological advances scientists can't even predict yet. A scientific study from the University of Chicago's Institute for Molecular Engineering published Oct. 17 in Nature Communications could have exciting implications for the developing world of quantum sensing—and quantum technology as a whole. "We took a recently proposed idea to make better optical classical sensors and asked whether the same idea would work in a quantum setting," said Aashish Clerk, one of the study's authors and a professor at the Institute for Molecular Engineering. "We found that this idea doesn't really work in quantum settings, but that another somewhat related approach could give you a huge advantage." "We think we've uncovered a new strategy for building extremely powerful quantum sensors," Clerk continued. Clerk and co-author Hoi-Kwan Lau, a postdoctoral scholar at UChicago, were inspired by recent high-profile studies that showed how to drastically enhance a common optical sensing technique. The "trick" involves tuning systems to an exceptional point, or a point at which two or more modes of light come together at one specific frequency. Lau and Clerk wanted to see whether this method could succeed in settings where quantum effects were important. 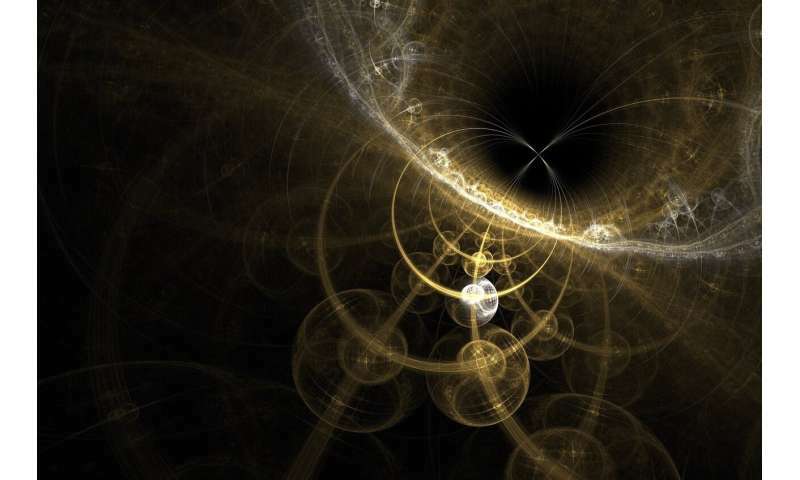 The goal was to account for unavoidable "quantum" noise—fluctuations associated with the fact that light has both a wave-like and a particle-like character, Clerk explained. "The good news is we found another way to build a powerful new type of sensor that has advantages even in quantum regimes," Clerk said. "The idea is to construct a system that is 'directional,' meaning photons can move in one direction only." In the future, new developments in quantum sensing could translate to significant advances in a variety of areas. The class of optical sensors described in the study can be used to detect viruses in liquids, for example. They also can act as readout devices for quantum bits in a superconducting quantum computer. "We think our idea has the potential to generate major improvements in many of these applications," Clerk explained. The study's implications for quantum computing are especially exciting. Not only do quantum computers have the potential to dramatically increase computing speeds, but they could also tackle problems that are completely unfeasible with traditional computing. Lau and Clerk plan to do further research on their enhanced sensing technique. Clerk still has a lot of questions: "What sets how fast our sensor is? Are there fundamental limits on its speed? Can it be used to detect signals that aren't necessarily small?"